What makes someone truly racist? I don’t understand pure racism, despite unwittingly harbouring racist thoughts myself on occasion. To me racism is a by-product of two entirely different thought process both mixed with ignorance. There are numerous other unfortunate reasons for racism, personal experiences with another race may be one that while still wrong can at least be comprehended. Walt Kowalski (Clint Eastwood) is an example of this reason, as a man who served in the Korean war many decades previously, Walt carries a grudge towards all Asians more carefully and cautiously than a fat kid does a bowl of icecream. Japanese, Chinese it doesn’t matter, add an ‘ese suffix and he doesn’t like ‘em and doesn’t care if they know about it. Less understandable is why Walt hates everyone else non white, but I give at least my two cents on that shortly. 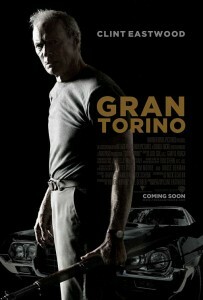 The essence of Gran Torino is hate. The young hate the old and vice versa. The non-religious hate the religious. The blacks hate the whites hate the Jews hate the Asians hate the Polaks hate the Irish hate the and so ons… I only hate this film. And I’m not even saying that it’s such a terrible film technically, it just has a loathsome message and for mine is told in an extremely clumsy and amateurish way. Walt hates everyone but a couple guys at the bar and his barber, with whom he trades ‘hilarious’ insults and put downs constantly. He even hates his own kids and their spawn, which in fairness I can partially understand given how annoying they seem. Most of all he hates non-whites of all kinds, which makes it difficult given that his neighbours are Mong people – an Asian group from many nations including China with a unique culture and a tight-knit sense of community. Even if you were to remove the racist element Walt would still be a grumpy, resentful, small minded ‘get off my lawn’ prick living in a dreamscape from decades previous, an era he no longer wants to share with anyone else. At least Walt is consistent. Until the amazing backflip that he performs midway through this film. So what cures Walt’s half century plus bout of irredeemable racism? A spunky Mong 20 something girl, her introverted shy young teenaged brother and a series of miraculous coincidences that all revolve around the same 5 man ‘gang’ of Mong douches. Try for starters the BBQ invite, despite hating the bulk of his multi-racial community Walt jumps at an invite to join the Mong throng on the strength of a single invite with no ‘BYOB’ clause. Apparently free beer cures racism. (An aside: I hate the Collingwood Magpies. Always have. Always will. This hatred of a sporting team obviously makes as much sense as the undiluted hatred of another ethnic group, though it is obviously less serious a mental affliction than the unadulterated racism Walt has carried for many decades. Now I love a beer. The only thing I love more than a beer is a free one. The only thing more than a free beer is two free beers. But let’s say Collingwood decided to shout me not one, not two, but 500 free beers, and all I had to give them was my temporary allegiance. Back to the regular scheduled rant. So the spunky Mong girl who has no reason to invite Walt does anyway. Then moments later Walt happens upon the ‘hip young’ section of the gathering, where an attractive young girl inexplicably walks up, introduces herself and has a brief conversation before leaving. Being an Australian I attend a lot of barbies, especially in Summer. I am yet to attend one where the most eligible female wanders up to an 80 something grump in anything other than an ironic ‘watch this’ manner. But there you have it, free beer and cute spunky girls cure racism. The scene where Walt and his barber ‘teach’ the shy young boy Thao to get over himself and just submit to the fact that guys are racist and casually throw a bunch of racial epithets at each other continually deserves its own rant, but I’ll leave it, aside from saying it is one of the most ill-conceived scenes in the history of cinema. Did Mel Gibson write this after a vodka binge? One last question; What makes your movie entirely overrated? In the case of Clint Eastwood the universal respect justified by a 60 year career in cinema both in front of and behind the camera, despite increasingly ham fisted work such as this. Final Rating – 5 / 10. 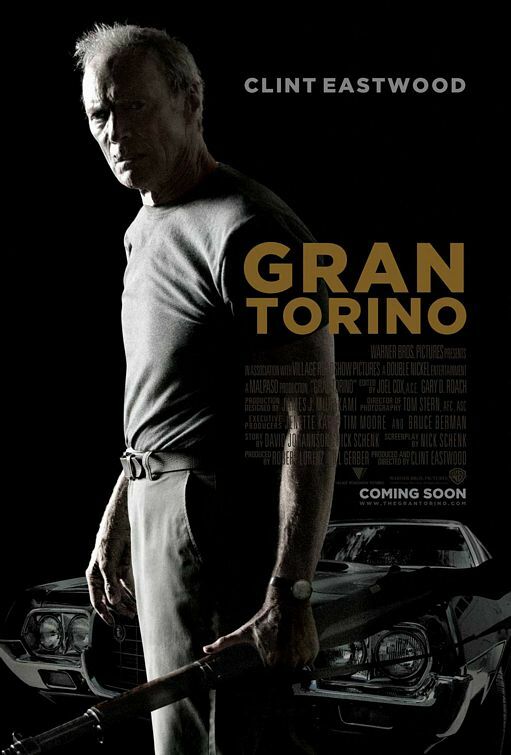 I simply cannot pretend to enjoy Eastwood’s misunderstood curmudgeon, all the old guy snarls and redemptive endings can’t change the fact that to me ‘Gran Torino’ must be Italian for ‘clumsy racist film’.